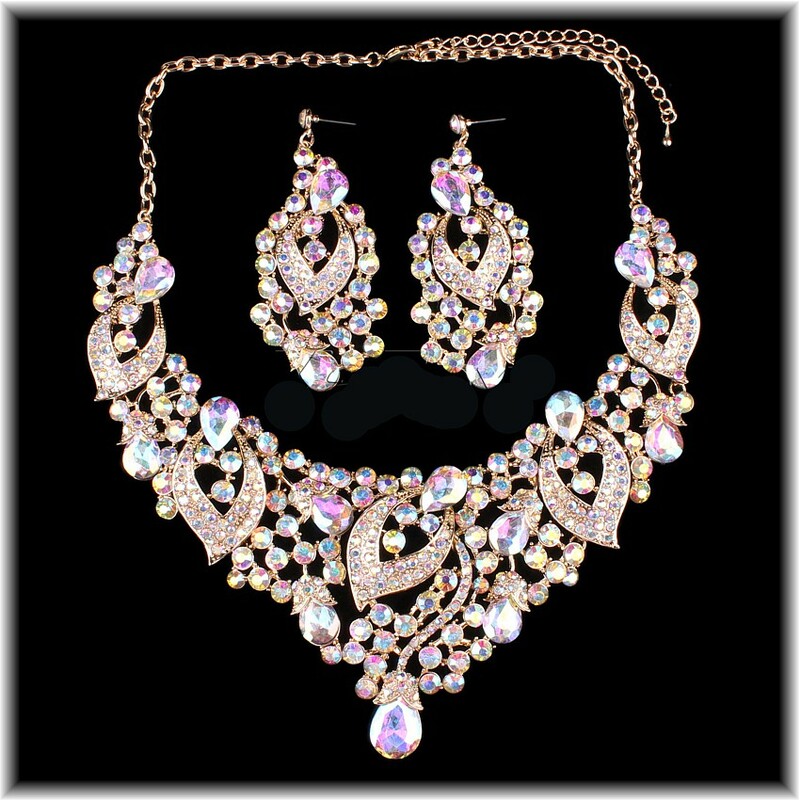 As gold jewellery becomes more and more popular, MAJ brings you this absolutely sensational Set to fire your senses. Created in a vari-sized mix of Aurora Borealis crystals, which shine with the pastel colours of the rainbow as rays of light strike each perfectly-cut surface, it is decidedly big, bold and insanely beautiful. Not for wallflowers, this is for ladies who want to dress to kill. Created with a touch of eastern influence, the design extends to the side of the neck where a golden chain takes it round to the closure at the back. The matching earrings complete the vision - and can obviously also be worn on their own. Sizes: Length: 46cm (18") + 8cm (3") extension. Centrepiece: 23cm (9"). Depth at front: 8cm (3") Earrings (pierced) 8cm (3") long x 4cm (1½") wide.